More fun facts! 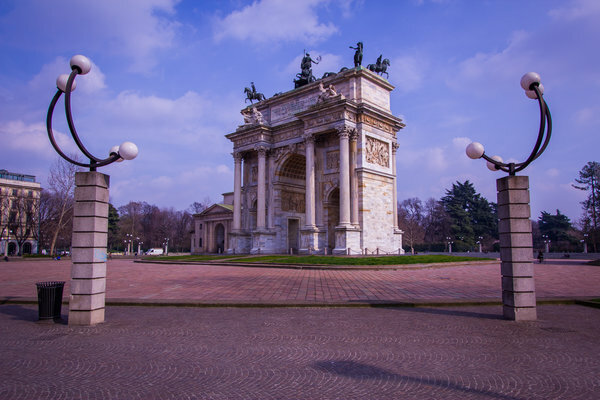 This time we're telling you all the funny secrets about Milan. Teatro alla Scala can seat two thousand visitors and is one of the best opera and ballet theatres in the world. It is home to La Scala Theatre Chorus, La Scala Theatre Ballet and La Scala Theatre Orchestra. However, you shouldn’t expect a great fascinating view from the street, there is no grandeur to stop you in your tracks. All its magic is hidden in quite an unobtrusive greyish building in the square of the same name (piazza della Scala) facing Leonardo Da Vinci’s monument and Milan’s city hall - palazzo Marino. Once upon a time channels of Milan connected lakes Maggiore, Como, and the Ticino river with other waterways and the sea. There were five channels inside the city plus a circular channel connecting the radial ones. The construction of the whole system took up 700 years: between the 12th and 19th centuries. However, the first proposal to close the channels was made soon after the completion of the system. Eventually, in the 20th century only the Naviglio Grande, Naviglio Pavese and Naviglio Martesana were left uncovered with the rest of the water being put underground to give space to the automobile roads. 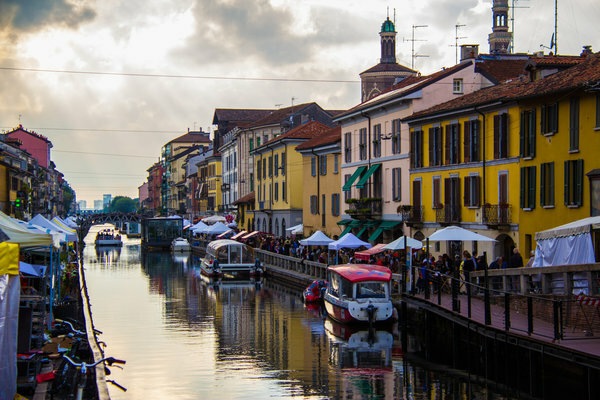 The first “conca” - “miter gate” water lock was constructed in Milan in 1496 to compensate the difference in the water levels between Naviglio di Martesana and the circular channel. It was conceived & designed by Leonardo da Vinci during his first travel to Milan in 1482 and nowadays it is the most common water gates arrangement worldwide. 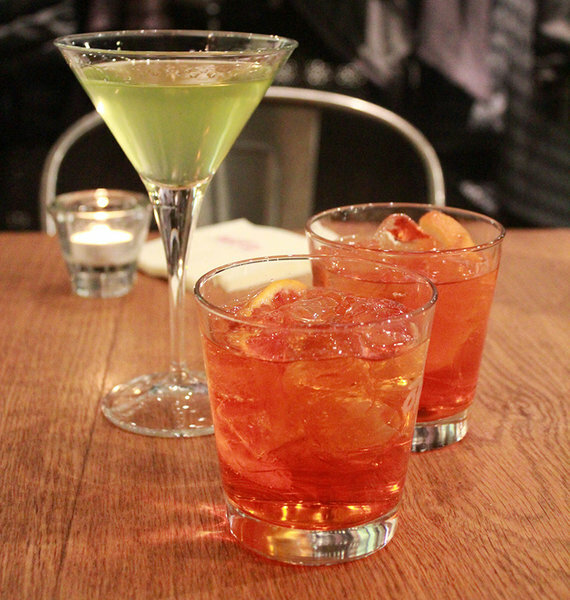 An aperitivo is the Italian version of happy hour, but it's less about cheap drinks and more about finger food and conversation. Most bars have an apertivi between 7 and 9 pm, which includes a buffet of finger food and sandwiches when you buy a drink. 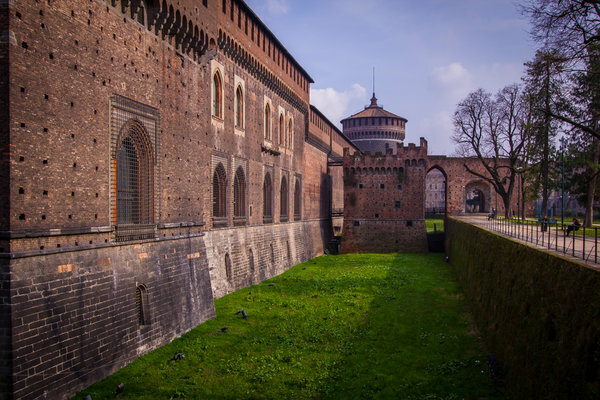 The Castle was built in the 15th century by the Duke of Milan, Francesco Sforza. However, its contemporary appearance is mainly defined by the reconstruction undertaken in the 20th century by Luca Beltrami. Nevertheless, the interiors of the hall still feature the remaining works by Leonardo da Vinci and Bramante as well as Pietà Rodandini by Michelangelo. There is also a staggering museum of musical instruments and an open restoration lab for them. Despite the fact that the patron saint of Milan is St. Ambrogio, the city is believed to be guarded by the Madonnina, her statue can be seen atop Milan Cathedral (Duomo). The statue was installed in 1774 and since then has become the symbol of the city. By tradition, no building in Milan should be taller than the Madonnina. For this reason when 127.1-meter-tall Gio Ponti’s Pirelli Building was built in the late 1950s a smaller replica of the Madonnina was placed on top of it, so the new Madonnina remains the tallest point in Milan. In 2010, it was moved to the Palazzo Lombardia, at a height of 161 m and in 2015 another copy was installed on the Isozaki Tower, which so far has the tallest rooftop in the city. *However if you want to find the highest accessible panoramic viewpoint in the city, instead of all towers above you should go to Palazzo Lombardia which opens the doors of its 39th floor to visitors for free every Sunday from 10 to 18:00 (you still might need and ID to access it). Head to Piazza Città di Lombardia, entrance from the “Nucleo 1”. Besides his well-known residency in Florence, Leonardo Da Vinci spent 17 years in Milan being involved in many city projects. He invented new machines and did a lot of painting. 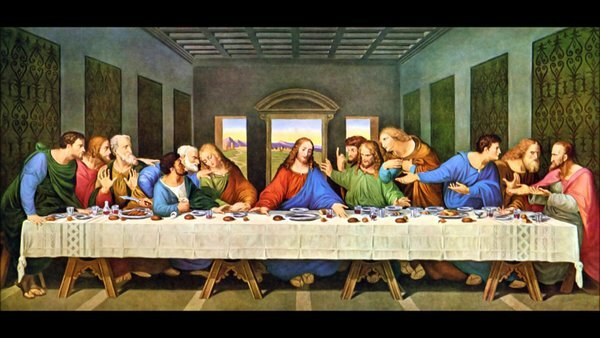 The Last Supper famous long before Dan Brown though of his Da Vinci Code is located in Santa Maria della Grazie church. You can see it, but you'll need to reserve only a 15 minutes time-slot due to the critical conditions in which the fresco is now and attempts to preserve it for the future generations. In case you don’t get the chance to visit it you can see a lot of models of Leonardo’s machines in the Museum of Science and Technology named after him and situated not far from the location of the Last Supper. Over 20% of the Milan population is made up of foreign immigrants. Most of them come from the Philippines, Ecuador, Sri Lanka, Egypt, Peru, China, Romania, Morocco, Ukraine, and Albania. If you wish to visit the city almost without local residents, you have to plan your trip in the second half of August. Most of the Milanese people prefer to spend those hot days near the sea or in the mountains. Lots of shops and restaurants might be close in that period, but there is no better occasion for amazing photos of the city architecture.